@adafruit on oldweb.today 2005, Netscape for Mac 3.04 « Adafruit Industries – Makers, hackers, artists, designers and engineers! 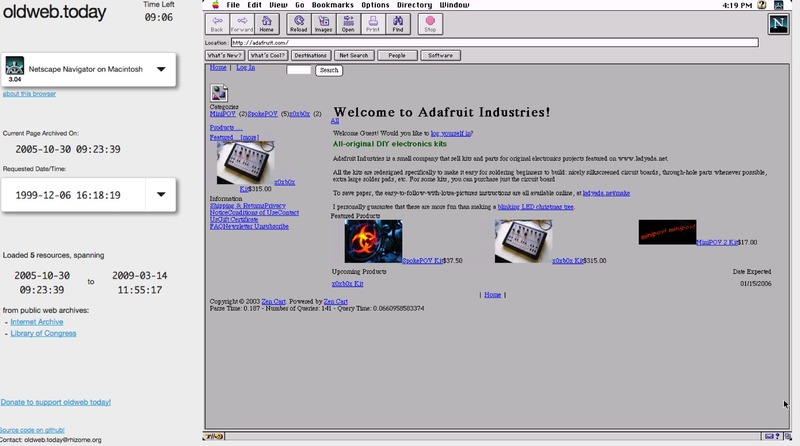 Adafruit 2005 on oldweb.today, Netscape for Mac 3.04. Source code on github via jwz.